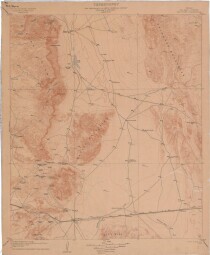 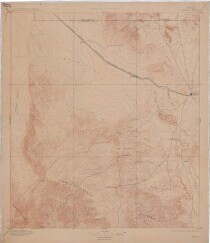 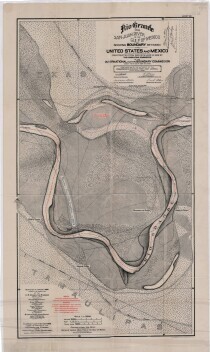 Topographical map indicating the location of Fort Hancock and Fort Hancock station; Camp Rice, Madden, Finlay Tank. 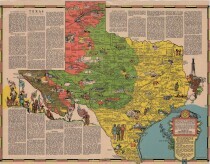 Illustrative literary map of Texas shows book titles and author last name in its corresponding area of Texas. 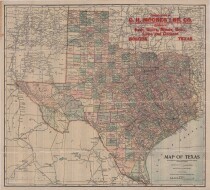 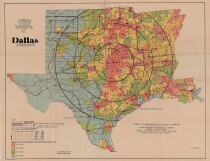 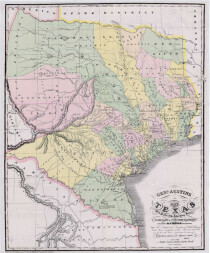 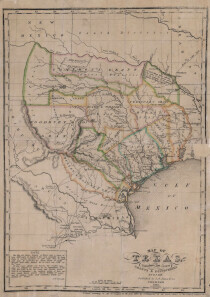 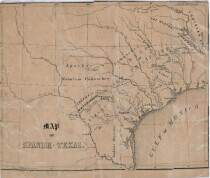 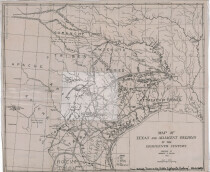 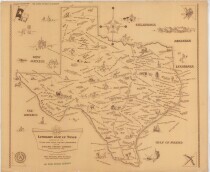 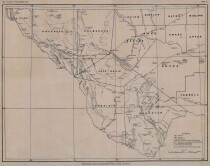 Picturesque historical map of Texas with information on explorations, missions, colonization, statehood, secession, revolt activities and the republic. 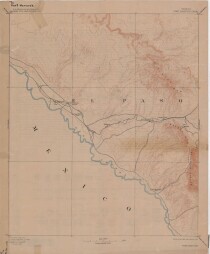 Map illustrates the location of rivers, cities and Indian concentration areas.